The Diner House 29 is a gem of a breakfast, lunch and brunch spot in St. Catharines, serving up creative diner fare with a side of nostalgia. 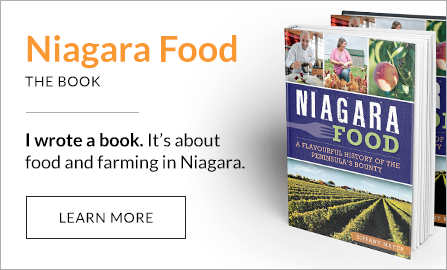 Strip Mall Gems is a series of Eating Niagara, my column that runs in the St. Catharines Standard, Niagara Falls Review and Welland Tribune. This instalment is about The Diner House 29 in St. Catharines. It’s been said breakfast is the most important meal of the day. Dave and Anne House won’t dispute that. The husband and wife team have made the first meal of the day — along with its close relative, brunch, and sidekick, lunch — their bread and butter for the past year as owners of The Diner House 29. I was lured in by the formica tables and a museum-like wall of Pyrex with the same sky blue farmer motif bowls my mom had when I was a child. We took ownership of it because of the food and people. 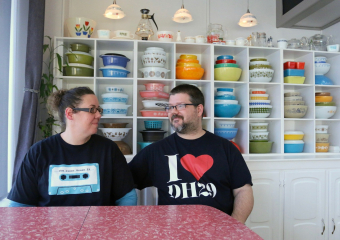 Dave and Anne are high school sweethearts who grew up in Niagara-on-the-Lake. They drank icewine at “CA parties” (bush parties in conservation areas) because everyone knew someone whose parents owned a winery. They travelled the world together, working in hotels — Dave in the kitchens, Anne with the guests — and teaching English. Sometimes they finish each other’s sentences. Dave fell into cooking by accident, starting as a dishwasher at the Pillar & Post in high school before apprenticing in the kitchen. He loved the pressure, and learned to adore breakfast running the omelette station at the hotel. He went on to work under farm-to-table pioneer Stephen Treadwell at Queen’s Landing in the mid-1990s before taking on the kitchens of high-end hotels in Alberta where the scratch cooking he learned with Treadwell eluded him. “Once I was at Queen’s Landing, I knew I was going to cook. I loved the pressure. I loved getting yelled at,” he said.